Imaging-Resource has updated their image comparison tool “Comparometer” with added new medium format mirrorless camera Fujifilm GFX 50S (B&H Photo, Adorama, Amazon). 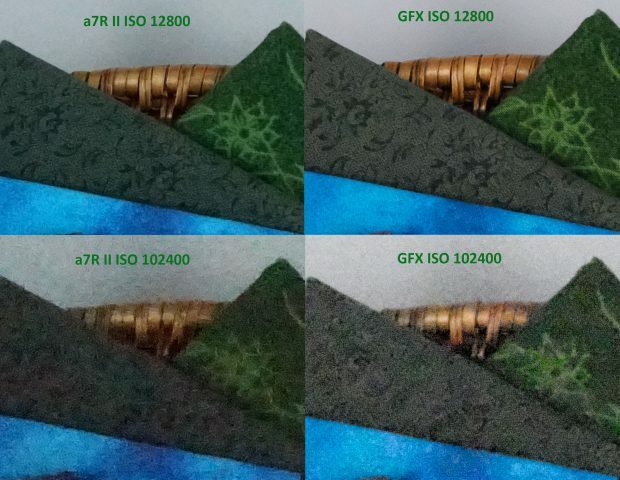 So we have made a comparison of image quality on Sony a7R II (Amazon | B&H | Adorama) and Fujifilm GFX 50S at ISO 12800 and ISO 102400. From the result, we can see the Sony a7R II is similar to Fujifilm GFX 50S, you can do your own test at Imaging-Resource. Sony Alpha a6500 Review by Imaging-Resource ! Looks like a lot less noise for the GFX images to me. Next Next post: Sony a6500 Firmware Update Version 1.02 now Released !